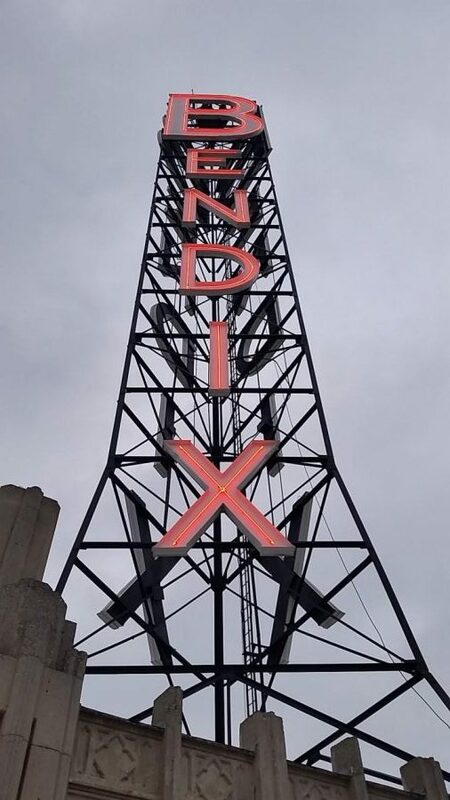 YESCO recently restored the historic Bendix sign originally installed in 1930. The sign was repainted and the neon replaced. The display towers above downtown Los Angeles and the LA Fashion District. It stands 150′ tall. The letter B is 25′ tall and 16′ wide. Our sign and lighting experts will continue to maintain the sign. Take a look at the before and after pictures.